You don’t need the luck of the Irish to discover Dublin on a budget. Some 10.5 million travelers visited last year, making it a popular holiday destination well beyond St. Patrick’s Day. We’ve found 19 cheap and free things to do in this Irish hot spot – in fact, many are free and none will set you back more than $20. Consider it 19 reasons to book a flight (Cheapflights.com can help with that) and you’ll be Dublin down on savings in no time. 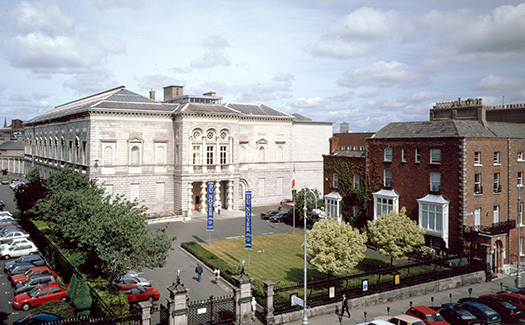 The National Gallery holds the country’s European and Irish art collections, and it’s free to view its 15,000 paintings, sculptures and other works dating from the early 13th century through the mid-20th century. Head to the bohemian enclave of Temple Bar to tuck into traditional Irish fare at The Merchant’s Arch. The bar serves traditional Irish stew (braised Irish lamb, potato, celery, carrot, leeks and herbs), beef and Guinness casserole (braised Irish beef slow cooked in Guinness with mashed potatoes) and cottage pie (minced Irish beef with carrots and celery in gravy served with mashed potatoes). 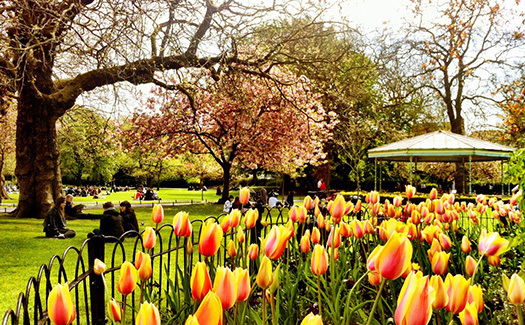 In the center of Dublin at the top of Grafton Street (a shopping street) is the verdant St. Stephen’s Green. The popular 22-acre Victorian park was opened to the public in 1880. The rectangular-shaped park includes two miles of picturesque pathways, gardens and a playground – all accessible for free. 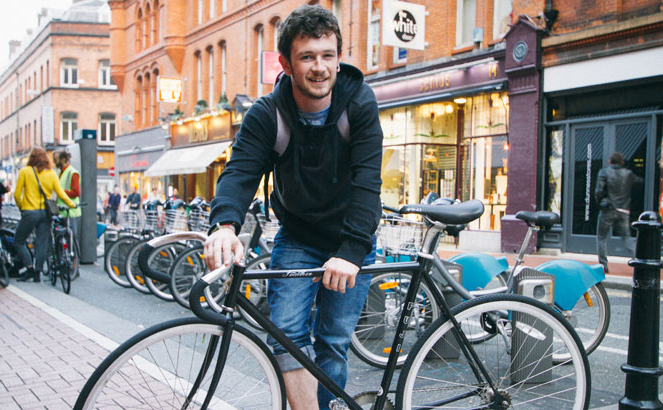 Like a growing number of cities around the world, Dublin has a bike-sharing program, dublinbikes. With 100 stations located mostly in the city center, each less than 1,000 feet apart, you’re bound to find a station near wherever you are going. A three-day ticket costs just a couple of euros. For 25 years. Whelan’s has hosted concerts by local artists, many of which are free. Check the website for the schedule of weekly shows. Walk into any pub in Ireland and you are likely to find Guinness on tap, but there are a few spots where the experience is even more memorable. Tucked down quiet Fade Street, you will find Market Bar, where they take Guinness seriously, ensuring that the distance between the Guinness keg and the tap line is a precise 12 feet (one of the shortest in Dublin) and the lines are maintained and cleaned every two weeks. The charming Library Bar at the Central Hotel Dublin City has won awards for its pints of Guinness and it’s the perfect spot for those seeking a quiet sanctuary from which to sip the Irish stout. Dublin is a very walk-able city and there’s much to see on foot. 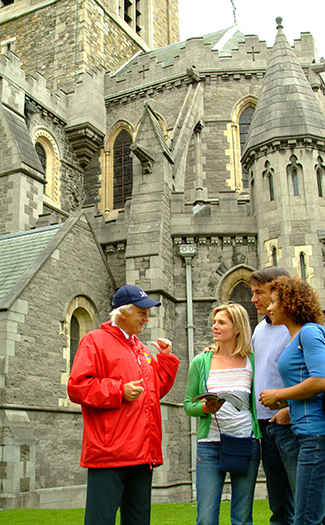 Sandeman’s New Dublin Tour is a free, three-hour walking tour that departs from City Hall at 11 a.m. and 2 p.m. daily. The walk provides a great overview to the city’s highlights, including Dublin Castle, Dublin’s medieval walls, Viking remains, Christ Church Cathedral, The National Library, Trinity College and St. Stephen’s Green. The knowledgeable guides regale visitors with historical anecdotes and stories of the countries famous writers and musicians. One of the best places to try a hearty bowl of Irish stew is Fitzsimons Temple Bar, the only open-air heated rooftop bar in Dublin. Take in the views of the River Liffey with a piping hot bowl of Wicklow lamb and root vegetables in a lamb and herb broth. The five floors of Fitzsimons also include four bars and a nightclub. Docked at Custom House Quay, the tall ship Jeanie Johnson is a replica of the ship that made 16 emigrant journeys to North America from 1847 to 1855, carrying more than 2,500 people escaping the potato famine across the Atlantic Ocean to the New World. There are 50-minute tours of the wooden ship, which is open daily. 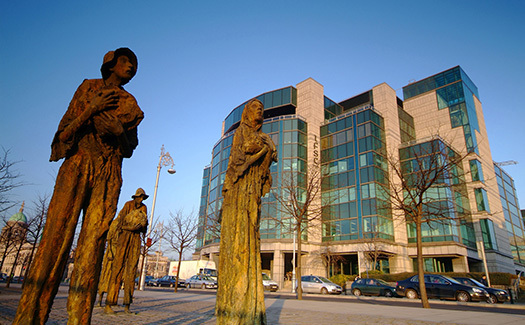 Nearby on Custom House Quay are the Famine Memorial Statues. No trip to Ireland is complete without a finger or two of Irish whiskey. Beverage manager Dan Mulligan serves exceptional whiskey with encyclopedic knowledge at 37 Dawson Street in Dublin. Tucked in the back of this cozy space is a dimly lit whiskey bar, where patrons can sip a variety of whiskeys, neat or on the rocks, while listening to live piano music. 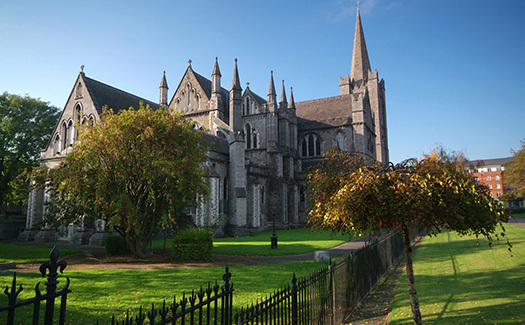 Built in honor of Ireland’s patron saint, St. Patrick’s Cathedral is a working Anglican church dating back to 1220. The cathedral is adjacent to the well where it is said St. Patrick performed baptisms on converts of Christianity in the fifth century. Poet and satirist Jonathan Swift, who was dean of the cathedral, is buried here. 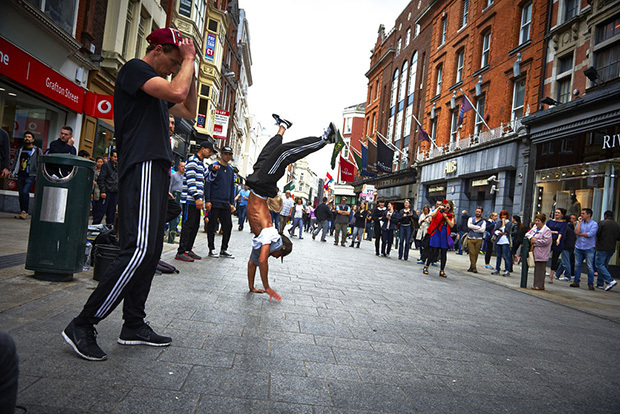 After window-shopping along Grafton Street, stop to check out local street performers providing free entertainment to passersby. The famous shopping street’s historic buildings are home to some of the country’s most famous retailers and offers a quintessential craic experience. No trip to Ireland is complete without Guinness. 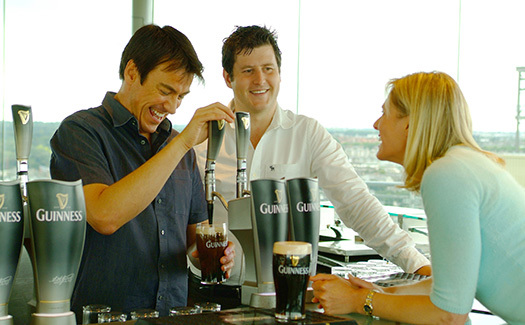 The seven floors of the Guinness Storefront introduce visitors to the legacy of Ireland’s most famous beer. Tours begin at the bottom of the world’s largest pint glass that rises up through the building. Visitors examine the brewing process step-by-step, see vintage advertisements and learn to pour the perfect pint. There’s also a restaurant, two bars and a gift shop to explore. Admission includes a pint of Guinness for visitors 18 and older and soft drinks for those under 18. 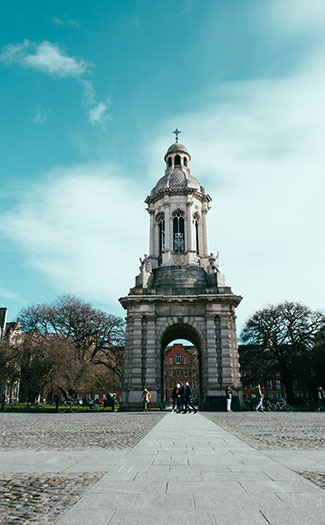 A stroll through the picturesque Trinity College to admire the historic and modern architecture and gardens is a must. Founded in 1592 by Queen Elizabeth I, the campus is a popular spot for people-watching. The Trinity College Library is the largest library in Ireland with 5 million books including the “Book of Kells,” a ninth-century copy of the four gospels of the life of Jesus Christ. Trinity College boasts alums like playwrights Oscar Wilde and Samuel Beckett. Visiting the campus is free, but visiting the Book of Kells is $11 for adults and $10 for students, seniors and children. For three generations, locals have indulged in traditional fish and chips at Beshoff. Located on bustling O’Connell Street, don’t miss the inexpensive but tasty fare. Fresh cod or place will only set you back around $7 and chips are around $3. There isn’t a permanent exhibition at the Science Gallery, so no two visits are alike. Since opening in a former car park in 2008, more than 2.5 million people have visited this cultural venue, café and shop, which offers free admission. 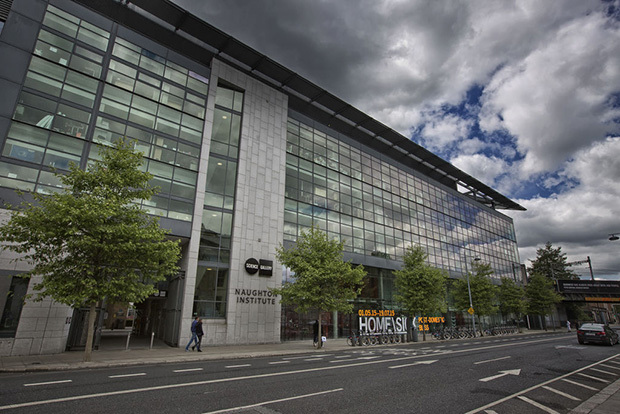 Be sure to call ahead or check the Science Gallery website as only the café and shop are opening when the organization is in between hosting exhibits. Shop local at the popular Ha’Penny Vintage and Craft Market at The Grand Social on Lower Liffey Street. The weekly flea market is open on Saturday afternoons. Local shops, artists and designers are featured in a rotating roster of stalls that sell vintage clothes, crafts, jewelry, vinyl records and more. 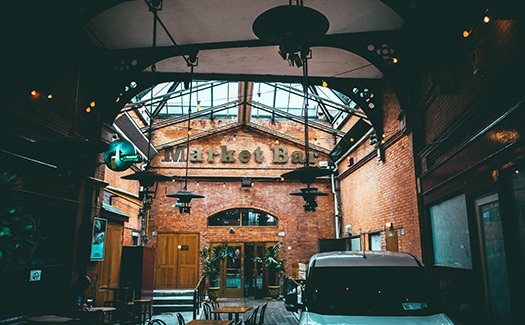 Stroll through the Temple Bar Food Market at Meeting House Square in the center of Dublin to sample artisanal treats from local purveyors. The market is open on Saturdays. 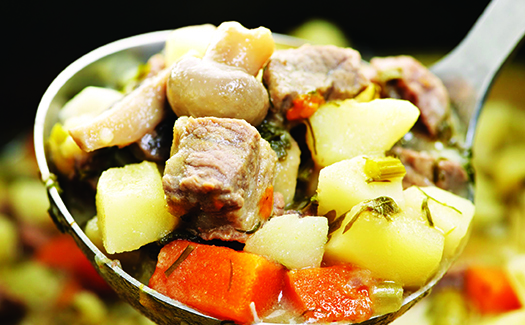 Try a hearty bowl of Dublin coddle, a stew packed with potatoes, sausage and bacon. One of the best places to try Dublin coddle, Stags Head, also happens to be one of the best pubs in Dublin.